Carol Goodman’s interest in Latin and Art and Literature is obvious. The first novel I read by her, The Lake of Dead Languages concerned a Latin teacher at a private girls’ school. The Drowning Tree tells the story of Juno McKay, a woman who runs a glass business (she’s in the business of building and restoring stained glass windows and is currently working on the reconstruction of a beautiful window from her old school, Penrose College.) The novel is steeped in Greek and Roman mythology. Juno’s best friend from college is the beautiful and wildly smart, Christine. She blows into town to deliver a lecture about Augustus Penrose and his wife Eugenie and her sister, Clare and the very window Juno is currently restoring. After the lecture, Christine disappears. Juno spends the next 300 pages trying to figure out what happened to Christine and why. My feelings about The Drowning Tree are lukewarm, I’m sad to say. Goodman is a fine writer. She clearly cares about the craft and her work has depth…but she’s supposed to be a writer of literary thrillers and her books (at least the two I’ve read) move slower than cold molasses. Nothing. Happens. 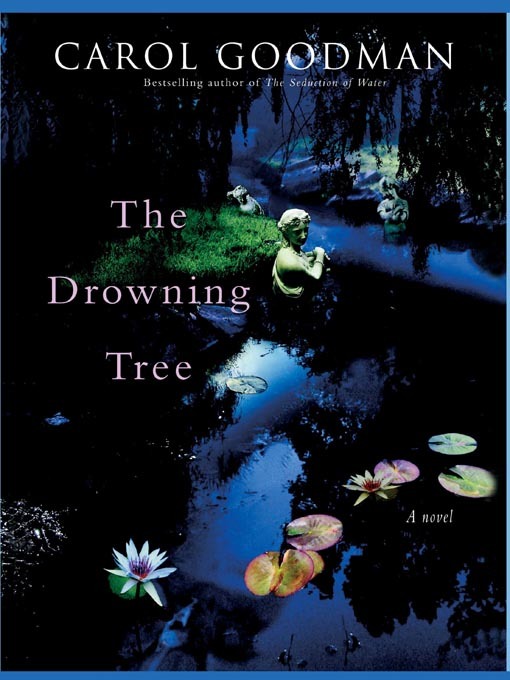 In fact, in The Drowning Tree, it isn’t until Juno’s long- institutionalized husband, Neil, makes a reappearance some 200 pages into the book that things start to perk up a little. I guess Juno herself just isn’t engaging enough to carry the novel all on her own. And the book’s central mysteries – what happened to Christine and what was the deal with Eugenie and her sister – aren’t compelling enough to hold 338 pages aloft. Perhaps it’s the publisher that does Goodman a disservice by calling the book a “literary thriller”. Literary for sure; thrilling, no way. This entry was posted in Uncategorized and tagged 2010, Book Review, literary fiction, really disappointing books by Christie. Bookmark the permalink. I really enjoy Goodman’s novels but I agree I wouldn’t classify them as thrillers. I think that gives people the idea that car chases and action abound and that’s just not the case. I think Goodman is a good writer…but I just find her books move too slowly. Or at least this one did for me.